The Twentieth National Conference on Artificial Intelligence (AAAI-05) and the Seventeenth Innovative Applications of Artificial Intelligence Conference (IAAI-05) were held July 9–13, 2005 in Pittsburgh, Pennsylvania. The IAAI Conference maintains its own conference site. AAAI conferences promote research among AI researchers, practitioners, scientists, and engineers in related disciplines. The conference provides a forum for a broad range of topics, including knowledge representation and automated reasoning, planning, machine learning and data mining, autonomous agents, robotics and machine perception, probabilistic inference, constraint satisfaction, search and game playing, natural language processing, neural networks, multi-agent systems, computational game theory and cognitive modeling. As the premier showcase of AI science and technology, the national conference is designed to provide an outstanding forum to learn about the state of the art in both new and established areas. The conference includes workshops, tutorials, plenary and poster presentations of research papers, invited talks, special exhibits and demonstrations, and computer programs competitions. Overall the conference offers the best new research and applications across all areas of AI. AAAI-05 included several novel organizational features to respond to feedback from the research community, including: (1) the paper submission date was been pushed as far ahead as possible to enable researchers to have the maximum time to prepare their submissions; (2) authors of papers had the opportunity to respond once to the reviews in a restricted format and time; (3) invited talks were not held in parallel with the research paper presentations to ensure that these selectively accepted presentations were well attended; (4) there were two large poster sessions, which included poster representations of all the research papers; (5) there was a special track where summaries and highlights from other specialized conferences in AI were be presented; and (6) there were one or two new computer game competitions. 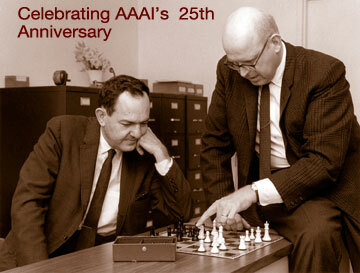 AAAI-05 celebrated the twenty-fifth anniversary of AAAI. Downtown Pittsburgh and its three rivers offered a beautiful setup for the conference. The following list of conferences agreed to send a representative to AAAI to summarize the highlights of their most recent conferences.